One Previous Keeper, Genuine Low Mileage, Fully Serviced for this Sale with New Bridgestone Tyre's Fitted no Expense Spared! Loads of Extras! Two Keys and a New 12 Month MOT. Also Have the Original order form from when the last keeper brought it from Berry BMW with 4800 miles ____ RAC Approved BuySure Inspection will been carried out on this vehicle, this includes an RAC Platinum Warranty, Car Data History Check, 12 Months RAC Breakdown Cover including Roadside, Recovery and At Home & RAC Accident Care. 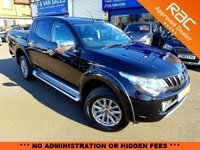 >>> WE DO NOT CHARGE ANY ADMIN FEES & HAVE NO MISLEADING PRICES ** Grimsdyke Car Sales is a Family Run Business Since 1964 ** We have some very competitive finance packages available please visit our website www.gssgarage.co.uk for more information or call us on 020 8954 4392.